Part Notes: Front Sway Bar is Tubular and 2 Way-Adjustable/ Rear Sway Bar is Tubular and 2 Way-Adjustable. Feature 1: Performance Tuned Handling. Feature 2: Further Reduce Body Roll. Feature 3: Precision Engineered for PRO-KIT & SPORTLINE Performance Lowering Spring Kits. Feature 4: Part of the Eibach PRO-PLUS, PRO-SYSTEM-PLUS, SPORT-PLUS & SPORT-SYSTEM-PLUS. 2009-2016 Hyundai Genesis Eibach Anti-Roll Sway Bars, The Eibach Anti-Roll Sway Bars is designed specifically to fit your 2009-2016 Hyundai Genesis without any modification to your beloved Hyundai Genesis. 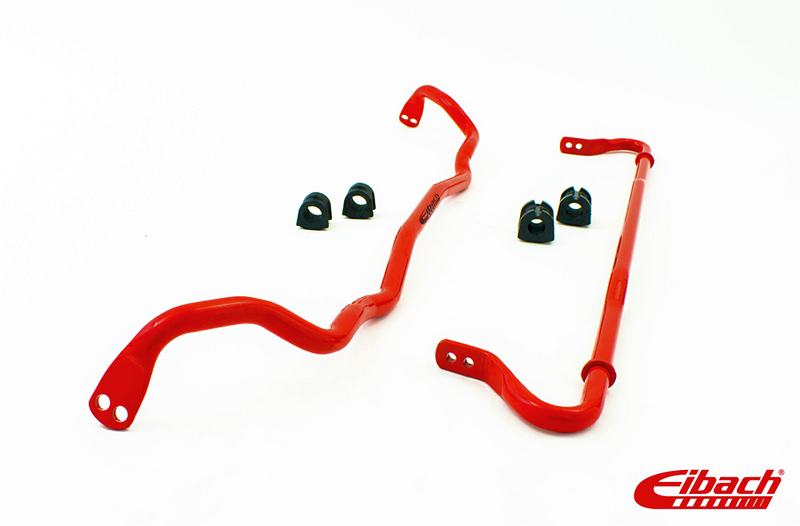 If this Eibach Anti-Roll Sway Bars is not exactly what you are looking for to accessories your 2009-2016 Hyundai Genesis, please don't give up just yet. Our catalog has huge variety of parts and accessories for your Hyundai Genesis.